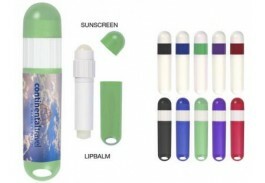 Protect skin and lips from the harmful rays of the sun with this convenient SPF lip balm and sunscreen stick! 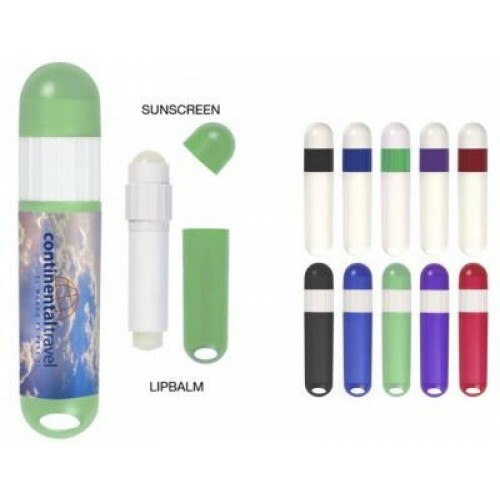 With SPF 15 Lip balm on one end and SPF 30 Sunscreen on the other, this custom sun protection set provides both UVA and UVB protection from the sun, so you can enjoy spending time outdoors without worry. Perfectly sized for pockets and bags, the rounded hook on the end of the lip balm makes it easy to attach to a keychain so you can take it anywhere. Ingredients and Instructions are printed directly on the barrel of the SPF lip balm and sunscreen stick. Available in Solid and Translucent colors of Black, Blue, Lime Green, Purple or Red, your logo will really pop in a full color imprint on a white laminated or metallic label. 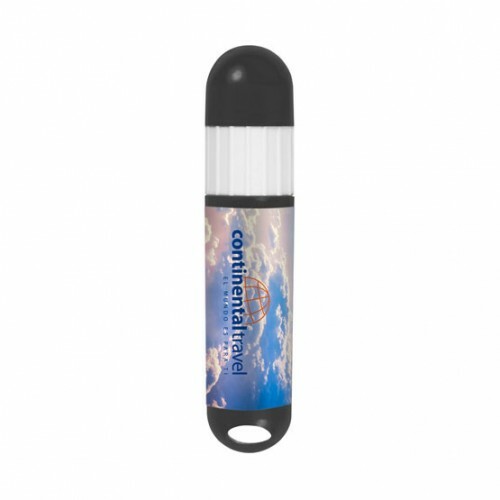 This custom sun protection set makes a great giveaway for tradeshows, golf tournaments, company picnics, sporting events, or any other outdoor event.